On a hot, muggy summer’s evening in mid-Michigan it isn’t hard to dream about escaping to an island somewhere on the Great Lakes. One can imagine escaping the summer doldrums, sitting along the beach, enjoying the breeze, watching the sun set, and reflecting on just how good life is. 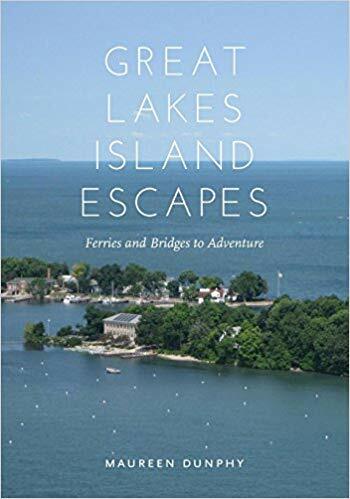 Maureen Dunphy, author of Great Lakes Island Escapes: Ferries and Bridges to Adventure,(Detroit: Wayne State University Press, 2016) spoke at the library on July 17. 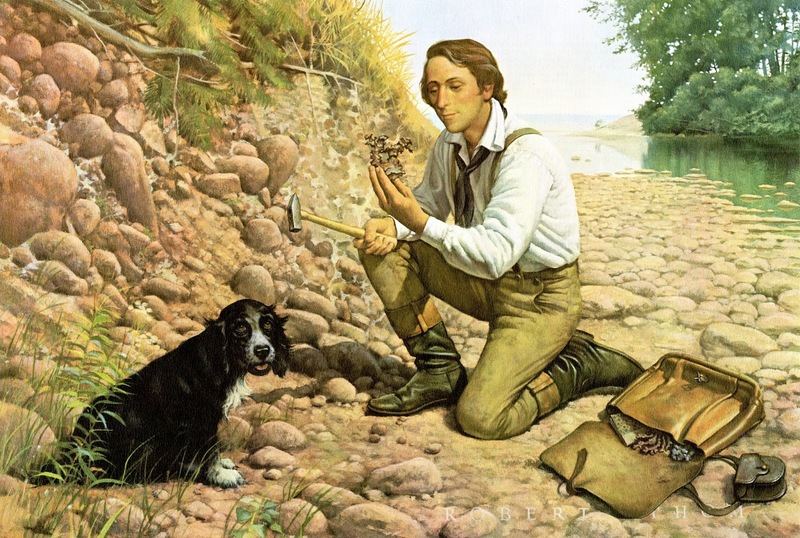 The book began one day while she and her husband were on Mackinac Island enjoying a do-it-yourself happy hour and began thinking about other Great Lakes islands they could visit. She decided that she wanted to live the dream, and she went looking for a book that talked about Great Lakes island vacations that began somewhere other than the Star Line dock. She discovered that no one had written such a volume. How many islands could there be, she reasoned. Maybe thirty or forty at most? 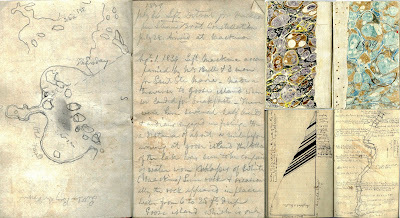 And how much fun could someone have going to them and writing about the islands and the experiences of visiting them? It turned out in writing the book Dunphy visited 136 islands that can be reached either by publicly accessible bridges or by travelling on regularly scheduled ferries. The book describes them all; although for purposes of the presentation Ms. Dunphy talked about five delightful destinations; one in each of the five Great Lakes. One of the trips she described was going to Lake Superior’s Island Royale. The national park that protects the archipelago of about 450 islands, of which Isle Royale is the largest island. It is one of the most challenging places on the lakes to reach by public conveyance. Ms. Dunphy went by a ferry that leaves from Minnesota: a 6.5 hour cruise that completely circles the island. (for those sentimentally inclined for a storied three hour cruise, leave from Copper Harbor, Michigan – but three hours is not enough time to circumnavigate Isle Royale). She admitted some trepidation about such a long boat ride but the time passed magically as she watched the extraordinary views and scenery the cruise offered. She did remark, however, that the day was sunny and the lake calm. A 7.5 hour cruise on a roiling Lake Superior might not, she conceded, be as magical. The natural beauty of the island struck her, but so too did the ability of people to reach and enjoy this remote spot. Reading from her book, ”Isle Royale is where you go to return the wilderness to your soul.” But wilderness doesn’t necessarily mean roughing it with backpacks, tents, and freeze dried food for supper. Dunphy stayed in a lodge maintained by the National Park Service with a “wonderful” restaurant and a conveniently located bar and grille. Each of the islands Ms. Dunphy described had its own charms and challenges. All of those in her book reminded us of the joys of getting away, and of living on “island time.” As she remarked in closing, island time begins at the ferry dock. The published schedule is more a suggestion then a completely reliable form of documentation. Fog, engine trouble, or a “fender-bender” between the ferry and a yacht docked nearby that require the Coast Guard to write up a report for the insurance company (it really happened), can all cause you to learn quickly how time, and life, work on an island. It was a pleasant talk, one which those who heard it likely will recall the next hot, muggy summer night they experience. 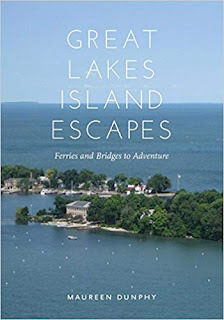 As they wait for a Canadian cold front to sweep across the state, they may pull out a copy of Great Lakes Island Escapes and begin to plan their own escape to an island on the lakes. 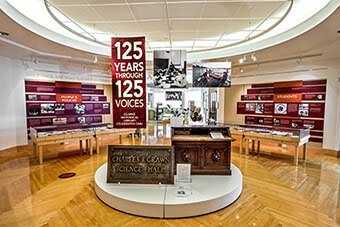 In an announcement made August 8, the National Endowment for the Humanities (NEH) awarded $285,000 to the Clarke Historical Library to continue its work as part of the National Digital Newspaper Program. 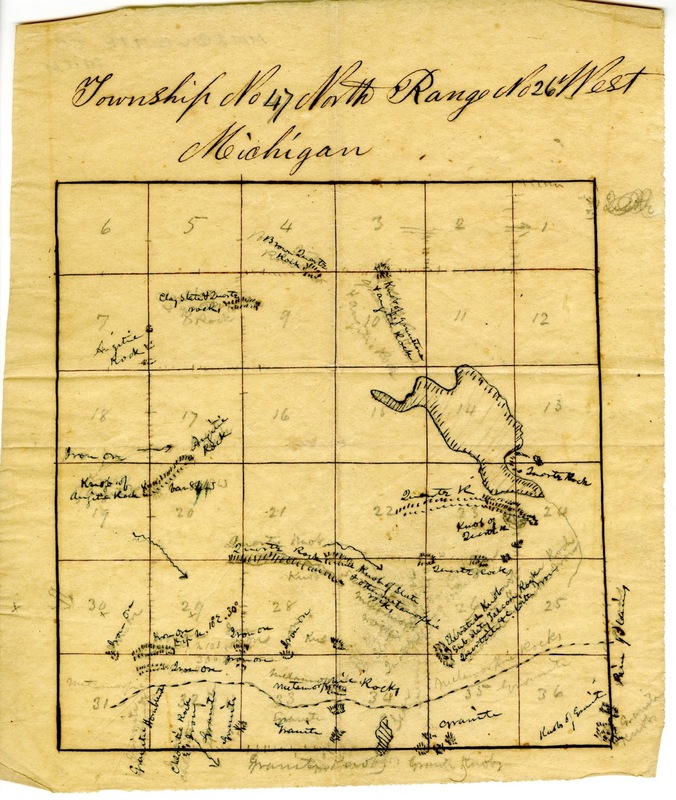 The Library will use the funds to scan approximately 90,000 newspaper pages that tell the story of “the Arsenal of Democracy,” Detroit and southeastern Michigan during World War II. Several newspaper titles, published between approximately 1941 and 1945, will document the contributions of the metro-Detroit area to the World War II effort as well as the dramatic social transformations that occurred during this period. During the war Detroit became the showplace of America’s wartime production and productivity. The nation’s automobile industry converted its output from civilian cars and trucks to the weapons of war. In addition to conversion, new facilities were built, such as the Willow Run Bomber plant, then the largest factory in the world under a single roof. Approximately ten percent of the nation’s wartime output rolled of Detroit area assembly lines. Detroit factories not only made the weapons that won the war, they also taught manufacturing productivity lessons of great significance. Bomber production is instructive. At the beginning of the war bombers were hand-crafted. If everything went well, about one bomber a day could be built. But everything did not always go well, and even when it did, the hand-crafting that was commonplace in West Coast aircraft production made it difficult to easily interchange parts from one plane to another. By the summer of 1944, Ford’s Willow Run bomber plant was rolling out one bomber an hour, using parts that were fully interchangeable and thus simplifying field maintenance. Similarly, at the beginning of the war, 40mm anti-aircraft guns, known as Borfors guns, took 450 employee-hours to build. By the end of the war, Chrysler Corporation employees had reduced the time needed to assemble the gun to 10 hours. Detroit was also a scene of tremendous social change. 700,000 individuals labored in a Detroit, about one-half of whom migrated to the city during the war years. Because so many men were drafted into the Armed Forces, women entered the work force in unprecedented number and in new positions. The social consequences of these many changes were profound. Racial conflict was the most obvious outcome. By the early 1940s, racially motivated street fights were common. On June 20, 1943, racially-motivated fighting in a municipal park grew into a massive race riot. The violence was not curbed until 6,000 federal troops arrived. Nine Whites and twenty five African Americans were killed in the Riot of 1943. 700 other people were reportedly injured, in what had become one of America’s largest race riots. The project will document Detroit during World War II through approximately 90,000 pages published by several newspapers, each giving a distinct view of Detroit’s wartime contributions and the challenges. One of the city’s major dailies, the Detroit Times, supplies the overall narrative. Its coverage is supplemented and expanded upon by Detroit’s African-American weekly, the semimonthly union newspaper of the United Automobile Workers, and an industry friendly trade weekly. In addition newspapers from three suburban communities document the war’s effect in unusual settings. One community was located in the heavily industrialized “Downriver” area. Another community that will be documented is the rural area outside Ypsilanti that became the home of the Willow Run bomber plant. The third community, Mt. Clemens, was an area nearby Detroit that was largely rural during World War II, but housed large military training facilities. 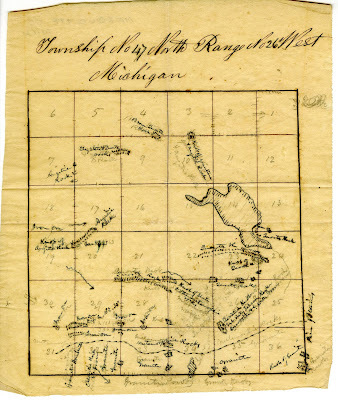 This grant builds on experience gained by the Library staff over the last six years through work funded by NEH to digitize Michigan newspapers that have been inputted into the Library of Congress, Chronicling America website https://chroniclingamerica.loc.gov/ . 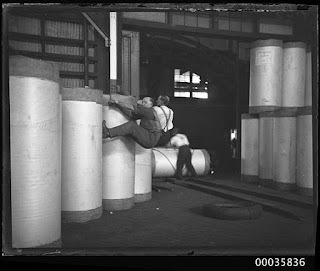 Other newspapers digitized by the Clarke Library can be found at our own website, https://digmichnews.cmich.edu/ . On July 10, Heather Shumaker, author of Saving Arcadia: A Story of Conservation and Community in the Great Lakes (Detroit: Wayne State University Press, 2017), spoke on how one of Lake Michigan’s treasured perched sand dunes became open to the public, and how she came to write a book using the techniques of a fictional novel writer to tell the story. Arcadia Dunes, located on Lake Michigan south of Frankfort, is one of the many beautiful sand dunes that sit perched along Lake Michigan’s eastern shoreline. In 1969 representatives of a previously unknown real estate company began to knock on the doors of people who lived on or near the dunes, making very generous offers for their property. 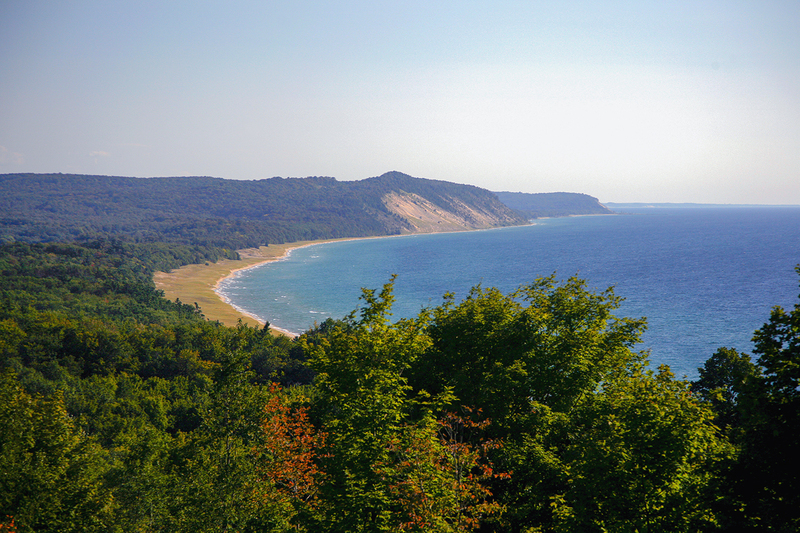 Eventually Viking Land Company assembled an approximately 4,100 acre tract, and in 1971 Consumers Power revealed that it had purchased the dune to construct a pumped storage power plant similar to one it was constructing near Ludington. A pumped power storage plant used excess electrical capacity available during non-peak demand hours to pump water “uphill” into a large storage reservoir. At times of peak electrical demand, the water was released and power was created by hydro-electric generators, creating needed additional power. 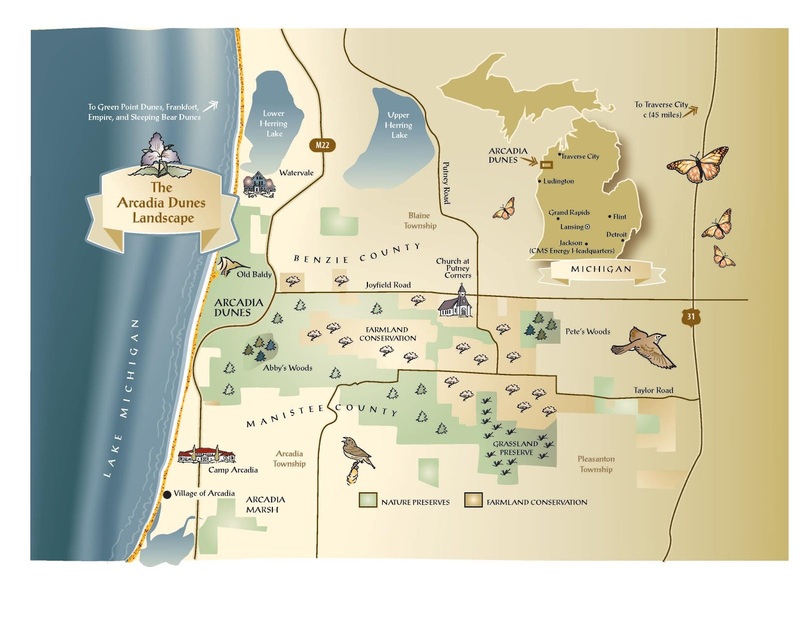 Map of the Arcadia Dunes. Although the Arcadia hydro plant was never constructed Consumers retained the property it had purchased, and continued for the next two decades to add new land to its holdings, eventually amassing around 6,000 acres. In the late 1980s Consumers went on another land-buying spree, this time with the hopes of developing a large resort. That plan too failed, in part because of stout local resistance. One of the more interesting ploys used to stop the resort was the realization that any high end hotel or golf course would need a liquor license to be profitable. The township that encompassed the dunes was authorized to issue only one liquor license. The license was applied for an awarded to a local, family owned resort, which actually didn’t want it very much but very much did not want Consumer’s to get it. (although serving wine at wedding receptions they catered developed into an unanticipated, but profitable, sideline). In 1991 the Grand Traverse Regional Land Conservancy was incorporated with a staff of one to place in trust the natural beauty of the region.. In the late 1990s the Conservancy, now with a staff of five that included Ms. Shumaker, developed the audacious idea of preserving the property. The only problems standing in their way were that they had no money to make the purchase and Consumer’s wasn’t interested in selling the land. Eventually Consumers consented to discuss selling the land, but the company did nothing more than talk, and for long periods of time chose to not even do that. But this became a story of friends, connections, and hard work. One example makes this point. Consumer’s at the beginning of the 21st century found itself involved in a financial scandal. It was suffering from terrible public relations, and a very immediate need for cash. Consumers wanted a rate increase, and its senior officers went to newly elected Governor Jennifer Granholm to seek her support for it. Friends of the Conservancy knew, Granholm, new Consumers was coming hat in hand to ask her help in getting a rate increase. They explained the situation to Granholm, suggesting she might be able to persuade Consumers to seriously consider transferring ownership of the dunes to the Conservancy. 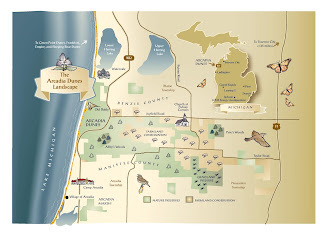 At the meeting between the governor and the senior management of the company held March 12, 2003 Granholm listened to their tale of woe, and shocked the Consumer’s representatives by suggesting if they needed cash so badly why didn’t they just sell the Arcadia Dunes to the Conservancy? Rumor was, she noted, they could get $18 million for the land. Arcadia Dunes were not something management had expected would come up in their conversation with the governor, but making her happy was clearly on the agenda. Suddenly Consumers placed the Dunes on the market, and proved a very motivated seller Finding the money wasn’t easy, but the Mott Foundation had the money to purchase much of the land at once, and then agreed to sell it to the Conservancy over time and at a steep discount, effectively both financing the much of the purchase and making a large contribution toward the project. Eventually the Conservancy owned the Dunes. There was still fundraising to do to cover those portions of the Dune land Mott did not subsidize, but with the Mott money available, the wind was at the Conservancy’s back. Arcadia Dunes from a distance. If Shumaker’s story is compelling, her choice of writing it in the style of a novel was equally interesting. Her point was simply; she wanted to convey to readers the drama and energy that occurred in ways that traditionally written non-fiction did not do. And she had an unusual mentor who helped her in her work. Shumaker, who lives in Traverse City, resided close to another writer, Doug Stanton, a New York Times best-selling author of non-fiction. Stanton liked her, liked her writing, liked the project, and became the coach any other author would envy having. 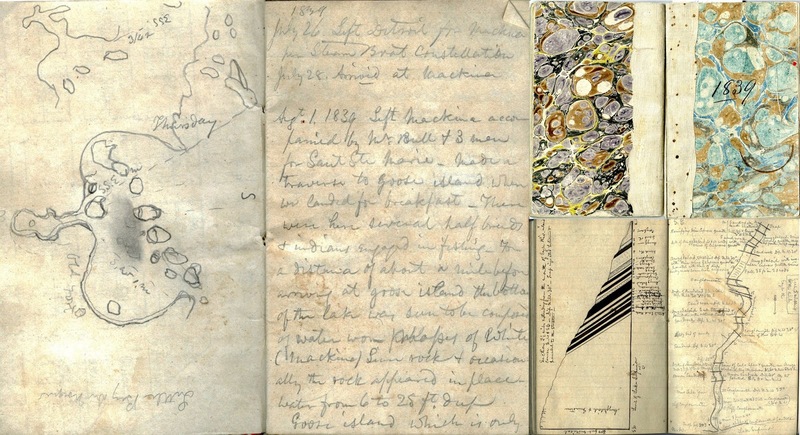 Using techniques drawn from fiction, and allowing herself license to place herself in rooms and share conversations and details actually unheard and unobserved, gives the book a directness otherwise unobtainable. And a good deal of talent at writing also came into play. As one person told Shumaker, “you’re the only person who can pen a chapter about grant writing and make it sound interesting.” Shumaker and her colleagues had to write a lot of grants, as well as engage in other forms of fundraising, to find the difference between what the Mott Foundation generously donated to the Conservancy by discounting the price of the property, and the money the Foundation really did expect to get back over time. Personally, I’ve written a few grants. I’ve taught workshops on the subject. Nobody has ever talked about my description of grant writing as being interesting. Informative, yes. But those workshops were always long afternoons, even for me. Anyone who can keep an audience awake describing grant writing has a gift. After listening to her presentation about saving Arcadia, I have to admit being really excited about that grant writing chapter. But then, that’s me. Most people will just find the story itself a page turner, even if they kind of skim the part about grants.